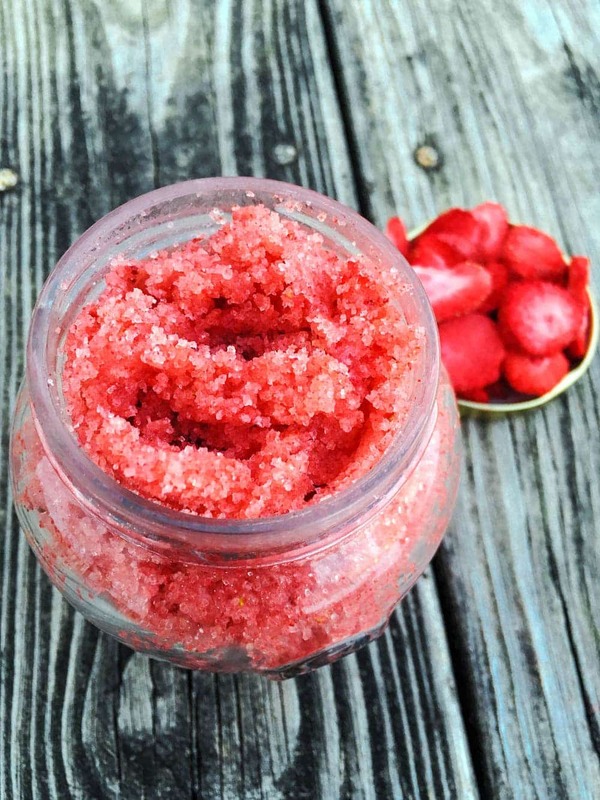 This DIY Strawberry Sugar Scrub is an easy homemade gift idea for friends and family! Can we all agree that sugar scrubs are awesome!? 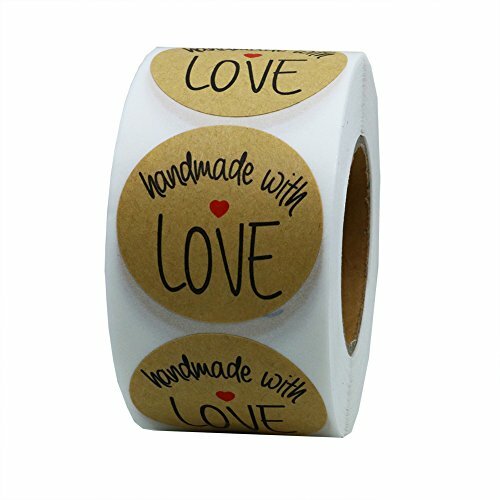 I’ve been completely obsessed with making my own since discovering how easy they are to put together, not to mention how much cheaper a homemade DIY version is compared to what you find at the drugstore or fancy bath and body boutiques. Two of my most popular sugar scrub recipes are gingerbread sugar scrub and peppermint sugar scrub, which are great scents for the holidays, but not necessarily ones you’d use year-round (though you totally could!). I thought it would be fun to make a delicious homemade Strawberry Sugar Scrub that can be used any time of year … and it’s made with just four simple ingredients! This strawberry scrub smells so juicy scrumptious on that you’ll want to eat it, and technically you could because it’s 100% all-natural and made with real fruit. Use on your hands, feet, arms, legs— wherever you please! 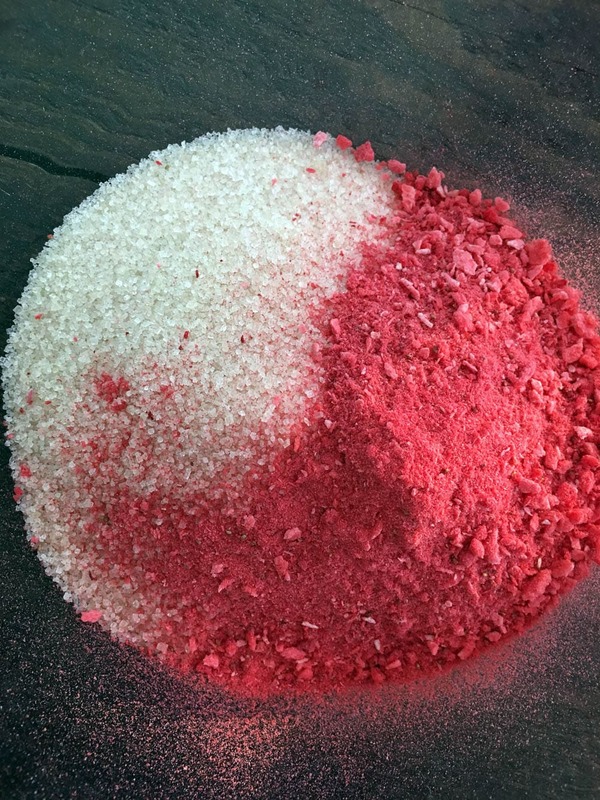 Once applied in a circular motion, this strawberry sugar scrub will help remove dead skin cells, revealing glowing skin that smells sweet and fresh. 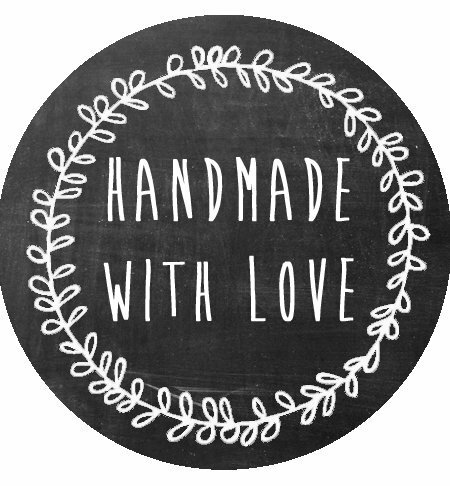 Sugar scrubs make great gifts (think Valentine’s Day! 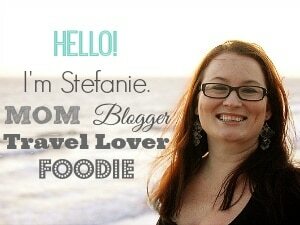 ), so make sure to whip up an extra batch for a friend! 1. Place freeze-dried strawberries in a sealed zip-loc bag. Using a rolling pin, crush strawberries until very fine. 2. Combine cane sugar and crushed freeze-dried strawberries in a small mixing bowl. 3. Add coconut oil and vanilla extract to dry mixture. Stir well. 4. Garnish scrub with freeze-dried strawberries. Place freeze-dried strawberries in a sealed ziploc bag. Using a rolling pin, crush strawberries until very fine. Combine sugar and crushed freeze-dried strawberries in small mixing bowl. Add coconut oil and vanilla extract to dry mixture. Stir well. Scoop scrub into a mason jar and garnish scrub with additional freeze-dried strawberries. 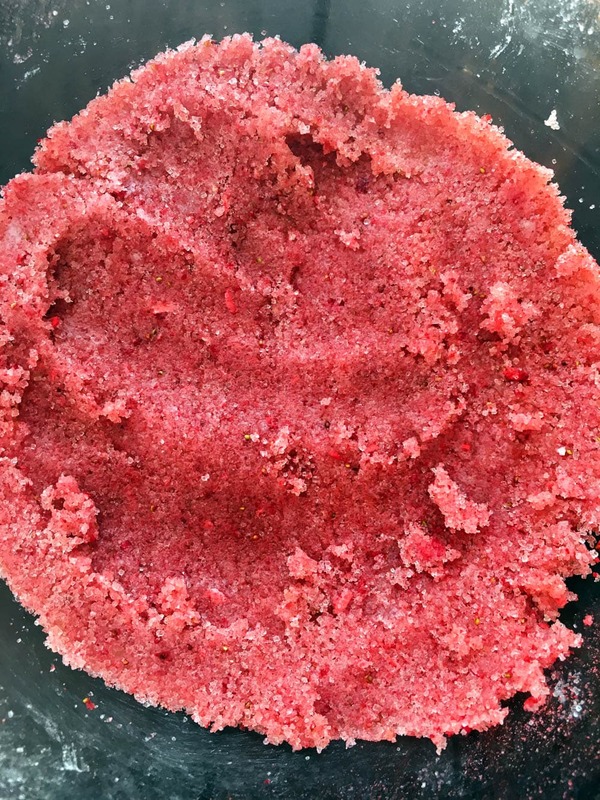 Strawberry sugar scrub can be made and used at any time of the year, but if you’re looking for the perfect scrub for Valentine’s Day, consider this easy scrub recipe. 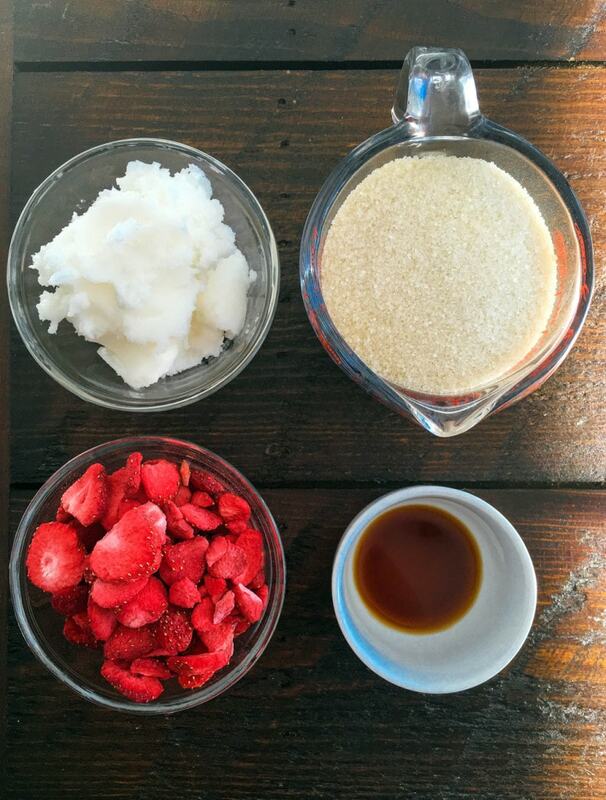 Valentine’s Day Strawberry Sugar Scrub is perfect for gift-giving— and if you celebrate Galentine’s Day, make a big batch and share with your best girlfriends! I can’t wait to try this when the scrub I made runs out. How long does this keep? Does it need to be refrigerated? umm can i do this with just vanilla? How long do the body/face srubs last? Where do I buy dried strawberries? What type of sugar would be good for this recipe? 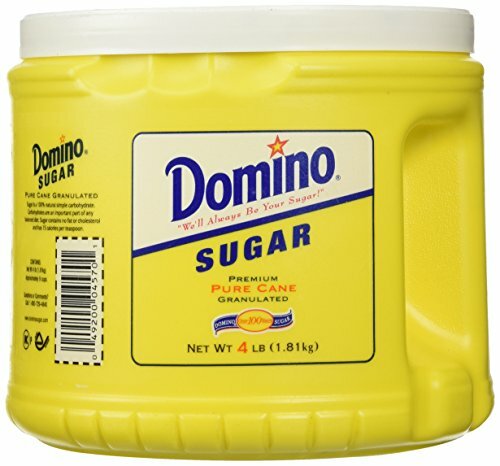 Brown sugar? I was wondering that too.. how long Does this last or does it need to be refrigerated because of the fresh strawberries? Does it get moldy after awhile?? Does this need to be refrigerated? What’s the shelf life? I want to give this as a Christmas gift and would like to leave instructions on how to store it. Thanks. Does this need to be refrigerated and how long does it keep for? I used my scrub within a week, so I am unsure of how long it can keep. I also did not refrigerate, but I don’t see why you couldn’t to ensure the strawberries keep once re-hydrated. Do you use all of that within a week? How much in cups you get when you mix everything together? I am sort of guessing that it cannot be less than 2 cups because you use one cup of sugar and one of strawberries. Also, where do you buy such big packages of strawberries? 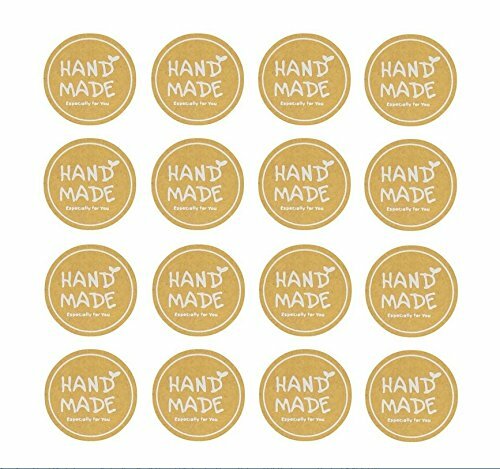 The ones I found in Amazon are abour 1/2 oz and for one cup I will need 8oz. Any advise? I put the scrub into smaller jars, so no, I didn’t use this entire recipe for a week. 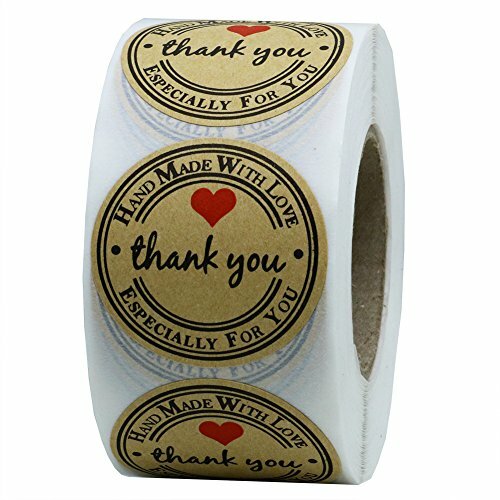 This is enough to make multiple jars of scrub…great for gift giving. If you want to make a smaller amount just halve or quarter the recipe. You definitely don’t need to make this much if using as a lip scrub. I hope this helps! Lots of valid, unanswered questions for what seems to be a great recipe, disappointing! How long would this last, spoiling wise? I did some research and found out that these last on the counter for up to 2 months (or more). Hope that answer’s everyone question on shelf life. Hi, Someone copy your picture. 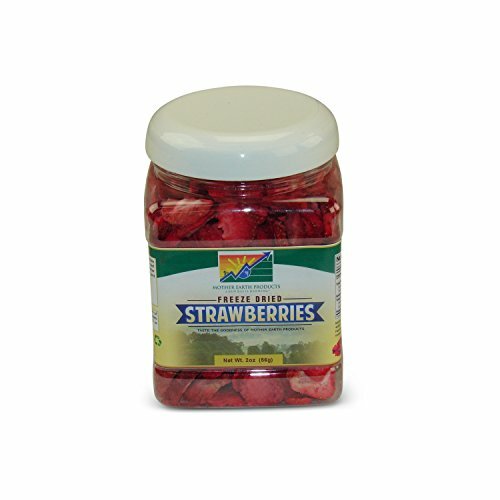 where do i buy dried frozen stawberries ? This scrub is amazing!!!! Smells SO GOOD! So clever to use freeze dried strawberries. We are so excited to use this recipe for baby shower favors! We chose to go with your pick of the 4oz Mason jars. Do you happen to know about how many jars one batch of this recipe would make? Am I missing something or there is something wrong with measurements? Actually this recipe seems to be using a lot of everything, not what I had in mind for some lips scrub. You don’t go by weight of strawberries, you go by unit of measure, in this case 1 cup full. They are dried berries they are very light until or if rehydrated. Hope that helps you. Also, check grocery store for freeze dried fruit, mine carries strawberries and blueberries in the section of produce where you also can find dried fruits, dates, etc. 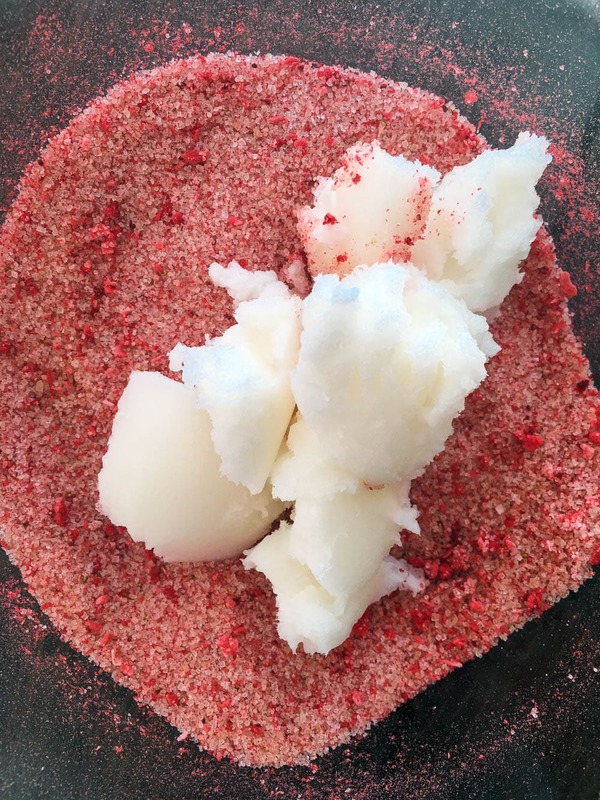 This is such fun and easy recipe for sugar scrub, and the idea of freeze dried strawberry is genius. I tried it and as you said it will not last forever, but long enough. The aroma is powerful and freshening, the skin feels polished and rejuvenated. The pores are clean and ready to breath. One more thing I want to point out – while you not using it, keep the lid on. 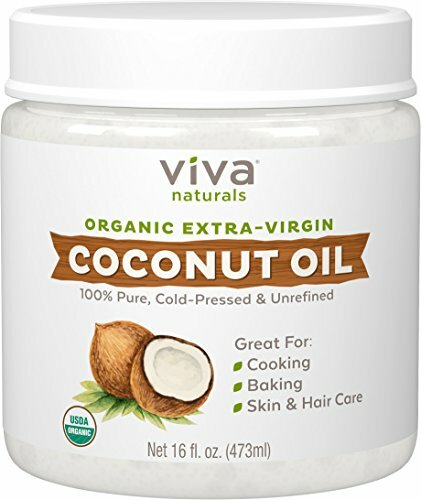 This way the coconut oil will not get oxygenated.